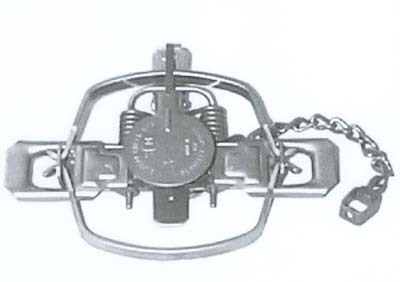 sCm #3 Coil spring trap. Regular jaw with chain and swivel attached. Jaw Spread: 6 1/2". For: Badger, Beaver, Bobcat, Coyote and Lynx.